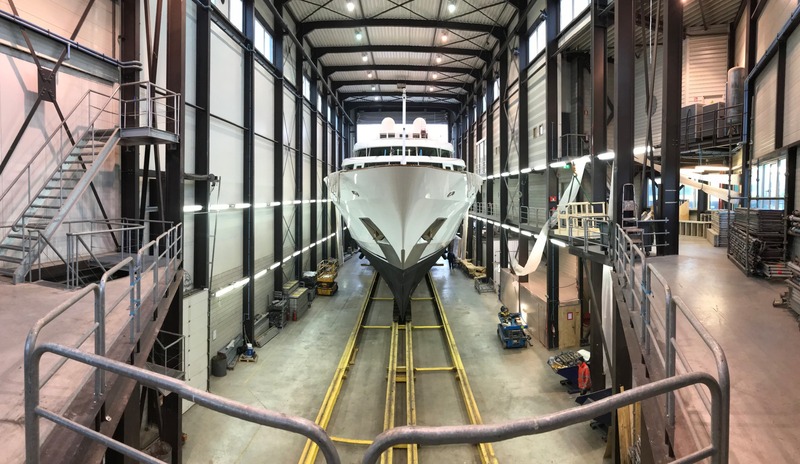 Business is blossoming at Balk Shipyard, KK Superyachts decided to engage Balk for the refit of the 57-metre MY DANCING HARE (ex. MY Lady Mona K, ex. MY Lady Ghislaine) for an extensive work this Winter period. 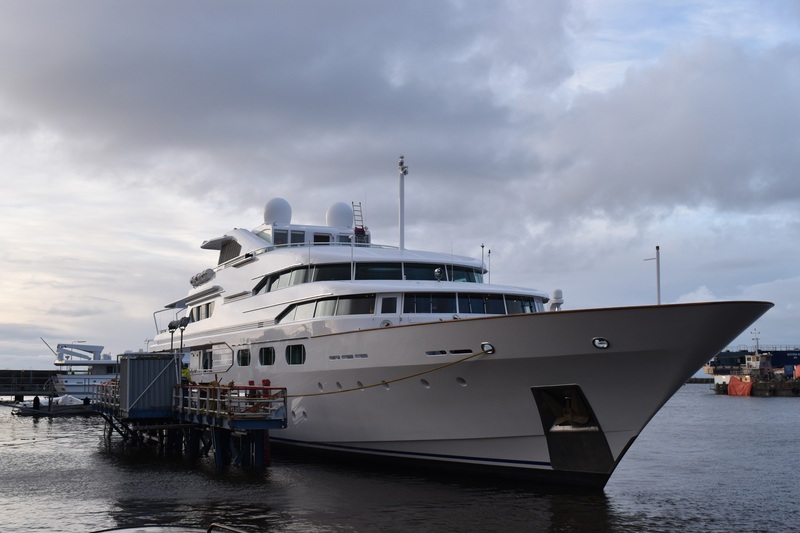 DANCING HARE is built by Amels, delivered in 1986 and has an exterior and interior design by Bannenberg Designs Ltd.
Saturday evening October 28th, 2017, DANCING HARE arrived at the yard’s premises after a 6-day cruise from the South of France. 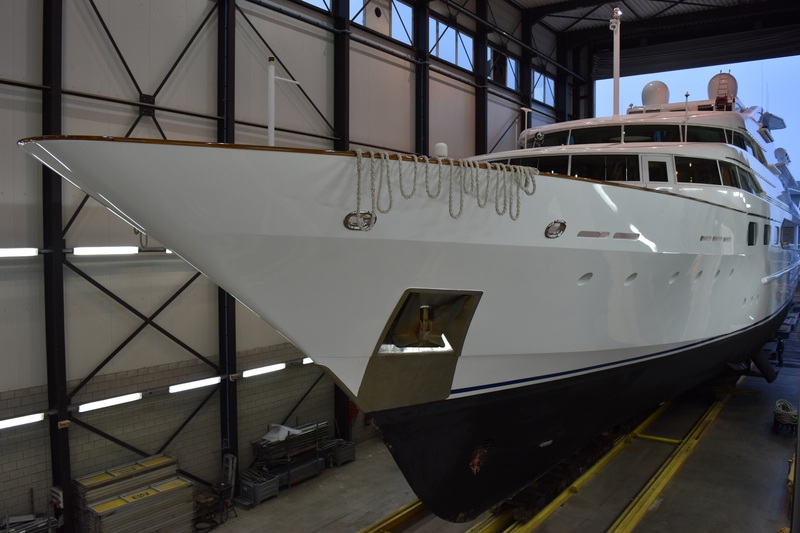 Due to her recent sale in September 2017 and considering the fact that her last big refit was in 1993, her new Owner, represented by KK Superyachts in Monaco, decided to let DANCING HARE be refitted by the refit specialists of Balk Shipyard in The Netherlands. At the moment of writing DANCING HARE is being hauled out and shunted into the yard’s biggest refit hall. Daan Balk – CEO of Balk Shipyard – is proud to have her at the yard as she is one of the main refit projects this Winter season. ‘We are excited to have such an iconic yacht as DANCING HARE with us. 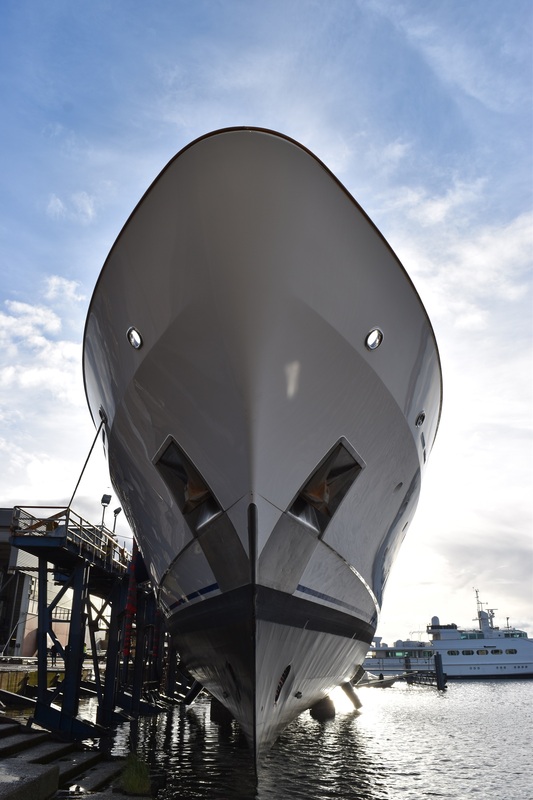 We feel honored and proud to be selected and trusted to work on a revolutionary yacht and to get her in her finest shape possible with nowadays technology and luxury’, says Daan. DANCING HARE is due to be relaunched in Spring/Summer 2018.